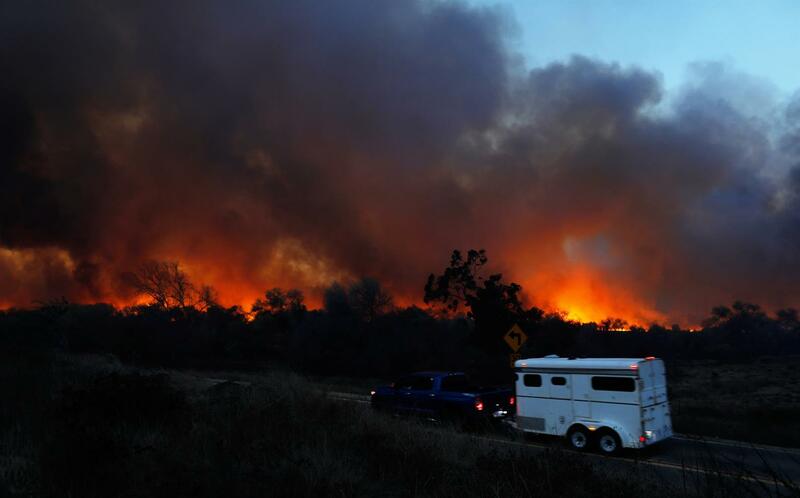 Lexington, Ky. – With the deadliest wildfire raging in the state’s history and nearly 210,000 acres burned and ablaze from fires across the state, California and its citizens and equine community are facing one of equestrians’ worst fears. Many people have been forced to flee their homes, farms, and ranches, with little or no warning, turning horses and livestock loose to fend for themselves and hope for their survival. Through the USEF Equine Disaster Relief Fund, US Equestrian is providing financial assistance to support the efforts of emergency response groups and organizations that are helping horses impacted by the fires. Developed in 2005 during the aftermath of Hurricanes Rita and Katrina, the USEF Equine Disaster Relief Fund helps ensure the safety and well-being of horses during trying times. Since its inception, over $1,000,000 has been donated to aid horses across all breeds in disaster-related situations. All money donated to the fund is strictly used to benefit horses and horse owners. In 2018, the fund raised approximately $650,000 to help in the relief efforts through Hurricanes Harvey, Irma, and Maria, along with wildfires across the country. Make a donation to the USEF Disaster Relief Fund here. One hundred percent of the donations will go to the North Valley Animal Disaster Group, U.C. Davis Veterinary Emergency Response Team, and the Humane Society of Ventura County. US Equestrian will be working through the USEF Disaster Relief Fund with these organizations and others over the coming weeks to support the ongoing rescue and rehabilitation efforts throughout the state of California. For more information on the USEF Equine Disaster Relief Fund, visit usef.org/donate.